Passed away at home at the age of 95 on March 28, 2019. Beloved husband of the late Noreen (2004) for 59 years. Cherished father of Lynda and the late Wendy. 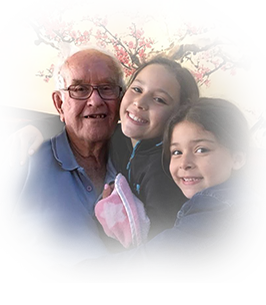 Loving grandpa of Jennifer, Kimberly Calderon Diaz (Rafael), Rachel, Lauren and Tom (Jenna), 21 great-grandchildren and 1 great-great grandchild. Predeceased by parents Frederick and Florence and brother Bill (Eleanor). He will be sadly missed by sister-in-law June Cardwell. Fred was a proud WWII veteran who was a tank driver in the Italian Campaign. He loved his family and all his children, grandchildren, great-grandchildren, and great-great grandchild. “Where were you on your 19th birthday?" If you so desire, donations to Salvation Army would be appreciated by the family.